I haven’t paid too much attention as of late to agreements between China and other nations intended to expand the use of the yuan (renminbi) internationally, because the near-term implications always seem to be exaggerated by many market commentators. That said, this deal between the People’s Bank of China (PBOC) and Germany’s Bundesbank seems quite significant given the importance of Germany within the global economy generally and the E.U. specifically. Germany’s Bundesbank and the ?People’s Bank of China agreed to cooperate in the clearing and settling of payments in renminbi, paving the way for Frankfurt to corner a share of the offshore market. The central banks signed a memorandum of understanding in Berlin today, when Chinese President Xi Jinping met German Chancellor Angela Merkel, the Frankfurt-based Bundesbank said in an e-mailed statement. Germany’s financial capital prevailed over Paris and Luxembourg in a euro-area race to win trade in renminbi, which overtook the euro to become the second-most used currency in global trade finance in October, according to the Society for Worldwide Interbank Financial Telecommunication. The U.K. Treasury said on March 26 that the Bank of England would sign an initial agreement with the PBOC on March 31 to clear and settle yuan transactions in London. China was Germany’s third-biggest foreign trade partner last year, with 140 billion euros in turnover passing between the two countries, according to the Federal Statistics Office in Wiesbaden. China ranks fifth among importers of German goods and is the second-biggest exporter to Germany. German companies including Siemens AG, the country’s biggest engineering company, and Volkswagen AG are embracing the renminbi internally as a third currency for cross-border trade settlements. Daimler AG, the Mercedes manufacturer that sold 235,644 autos in China last year, issued 500 million yuan of one-year notes in Asia’s largest economy on March 14, in the first so-called panda bond by an overseas non-financial company. With all that in mind, let’s not forget that Obama is currently in Saudi Arabia trying to restore ties with the Medieival Kingdom, i.e., he is trying to figure out a way to arm al-Qaeda in Syria without the American public finding out about it. RIYADH—Barack Obama’s visit to Saudi Arabia on Friday marks a bid to warm relations that the Saudis hope will result in commitments by the U.S. president to boost the supply of sophisticated weapons to Syrian insurgents. Mr. Obama’s stopover at the end of a European tour will mark his first visit to the kingdom since U.S.-Saudi ties were severely strained last year following the renewal of high-level U.S. contacts with Iran and the cancellation of planned airstrikes against the regime of Syrian President Bashar al-Assad. Saudi officials also are hoping he will bring word of a breakthrough in U.S. and Jordanian opposition to supplying Syrian rebels with more advanced weapons, including shoulder-launched missiles, known as manpads, capable of bringing down Syrian aircraft, according to Saudis, a Western diplomat and regional security analysts familiar with the situation. Jordan also has blocked delivery of the additional weapons through its territory to rebels in Syria, for fear of getting pulled deeper into the Syrian conflict. The diplomat and two Syrian opposition officials said Amman is waiting for the U.S. to approve the deployment of Saudi-bought manpads currently sitting in Jordanian warehouses. Saudi royals have muted their angry rhetoric since last autumn’s rift. Prince Turki Al Faisal, whose criticism of the Obama administration’s policies on Iran and Syria made front-page news in December, made virtually no mention of the U.S. during a U.S. speech about Iran this month. A Saudi ambassador who wrote of Saudi Arabia breaking with the U.S. in the New York Times in December has been publicly silent since. Lots of moves appear to be afoot on the macro front at the moment. The months ahead should be very interesting to say the least. The sanctioned Russian bank - Bank Rossiya - is "taking measures to protect its Russian clients" from potentially unfair actions by US banks by shutting correspondence accounts in the US. Furthermore, the bank, which is oh so grateful for the support of Vladimir Putin (who opened a personal account with the bank soon after the sanctions), added it will meet all obligations and will not need additional support as will concentrate only on its Russian clients and work only in Rubles. In order to protect customers from fraud Bank foreign financial institutions AB "RUSSIA" decided to work exclusively on the domestic market and only one currency - the national currency of the Russian Federation - the ruble. In this regard, a number of U.S. banks sent notification of the closure of correspondent accounts. In the near future similar notice will be sent to other foreign financial institutions. These changes in the Bank's work will not affect the implementation of the obligations of the Bank before its clients and partners. All obligations of the Bank will perform on time and in full. Bank's activities are not in need of financial support, including from the state regulator. AB "RUSSIA" will take part in the development and implementation of the national payment system and its activities will be focused exclusively by national rating agencies. AB "RUSSIA" expresses sincere gratitude to the President of the Russian Federation and the Russian citizens for the Bank's credibility. Bloomberg financial reporter Bob Ivry has written an entertaining new book, “The Seven Sins of Wall Street,” which, instead of rehashing the various illegal activities that triggered the financial meltdown, focuses on what the banks have been up to since the crisis. Much of it would be familiar to readers of this space: the Bank of America whistle-blowers who were instructed to lie to homeowners, and received gift card bonuses for pushing them into foreclosure; the London Whale derivatives trade that lost JPMorgan Chase more than $6 billion; the investment banks who traded commodities while also operating physical commodity warehouses and facilities; and more. All the while, megabanks continue to enjoy subsidies on their borrowing costs because of the (accurate) perception that they will get bailed out in the event of any trouble. The odds are that trouble will present itself soon. Ivry’s opening quote in the book comes from Jamie Dimon, whose daughter asked him, “’Dad, what’s a financial crisis?’ Without trying to be funny, I said, ‘It’s something that happens every five to seven years.’” A quick check of the calendar reveals that we’re almost six years out from the bursting of the housing bubble and the fall of Lehman Brothers. So are we on the precipice of another financial crisis, and what will it look like? To be sure, danger still lurks in the mortgage market. The latest get-rich-quick scheme, with private equity firms buying up foreclosed properties and renting them out, then selling bonds backed by the rental revenue streams (which look suspiciously like the bonds backed by mortgage payments that were a proximate cause of the last crisis), has the potential to blow up. And continued shenanigans with mortgage documents could lead to major headaches. A new court case against Wells Fargo uncovered a bombshell, a step-by-step manual telling attorneys how they can fake foreclosure papers on demand; the fallout could throw into question the true ownership of millions of homes. Even subprime mortgages are in the midst of a comeback, because what could go wrong? However, in this era of the government-backed housing market, new mortgages have largely gone through Fannie Mae and Freddie Mac, and the mortgage giants have diligently scrutinized them for defects. As a result, mortgages originated in 2013 have actually performed quite well. Industry types grouse that this leads to “tighter” credit; you could also call it “safer” credit, without the tricks and traps that preyed upon low-income Americans in the last decade.Proposed legislation to eliminate Fannie and Freddie could change this dramatically and return us to the Wild West show, but for the moment, financial risk may be located somewhere other than mortgages. That’s not to say that Wall Street firms have been choir boys. The risk is merely harder to see, and you can’t just look at the banks. In fact, banks have reduced their stake in many normal banking activities, leaving things like small business lending to the shadow banking system. This is the broad term given to hedge funds, private equity firms and the labyrinthine deals they initiate to move money around. These less-regulated entities have increased their overall portfolios 60 percent over the past five years, bingeing on subprime loans to businesses that could not otherwise access traditional credit. Nontraditional leveraged loans, issued to companies that end up with large amounts of debt, have fewer protections for lenders and carry much more risk. Typically lenders sell these loans off into the capital markets, where years of ultra-low interest rates have encouraged investors to search for any deal that will make them a bit more money. Thus we have seen an explosion in junk bonds, speculative investments in risky companies that return a high reward. Just as with subprime mortgages, these junk bonds feature shoddy underwriting, with money handed out to businesses that should in no way get an infusion of cash. Got an idea for a vegan restaurant on a cow farm? A lingerie shop in a nunnery? No problem, the shadow banking system will fund you! The junk bond market has doubled to nearly $2 trillion since 2009, causing more cautious investors to head for the exits, wary that the market could turn quickly. If losses mount and some of the bigger shadow banks take a hit, they remain so interconnected to the traditional banking industry that the risk could spread. Regulators have displayed a vague awareness of these blind spots, though it may be too late. Recent actions from the Federal Reserve suggest that they are thinking about guarding against financial instability, amid concern that microscopic interest rates and expanded balance sheets have fed speculation. In addition, the Securities and Exchange Commission recently began looking into leveraged loans that have been packaged into bonds known as collateralized loan obligations, or CLOs. These CLOs are traded privately between buyers and sellers, so regulators cannot discern whether they hide risks, or whether the sellers cheat the buyers on prices. And some of them are “synthetic” CLOs – derivatives that are basically bets on whether the underlying loans will go up or down, without any stake in the loans themselves. Recently, commercial banks have attempted to get CLOs exempt from the Volcker rule, the prohibition on trading with depositor funds. CLO issuance has skyrocketed since this lobbying push, and it could be the next vessel Wall Street uses for their gambling activities. But whether the SEC will actually enforce securities laws on CLOs, and drive them out of the shadows, remains to be seen. And other examinations of shady derivatives deals and price-fixing, if past history is a guide, will end with cost-of-doing-business settlements instead of true accountability. Meanwhile, we are told that the economy has little to fear from big bank failures. The Federal Reserve recently released results of its stress tests on the 30 biggest banks; it claims that 29 of them would hold up in the event of a deep recession. But the stress tests, designed in conjunction with the banks subjected to them, do not realistically measure the reality of a financial crisis, and if they did, the banks would all fail them. Similarly, the size and power of the largest financial institutions, which has only grown since the crisis, virtually guarantees similar outcomes. Congress and the White House have not yet moved to chop these behemoths down to size; as a result, their sprawling corporate structures and inadequate risk controls make them almost unmanageable. It’s telling and sad that it took until the past couple of weeks for top regulators to publicly consider whether Wall Street exhibits a culture of corruption. Those seven sins Bob Ivry documents in his new book practically comprise a credo in the financial industry, with a desire for making fast profits, ignoring pesky things like rules or ordinary people’s lives, and offloading risk like a hot potato. We saw in 2008 how this puts all of us in peril. While we are sure the governments and their IMF handlers will find a way around such annoyances as the rule of law, the Greek Supreme Court just ruled that the seizure of bank deposits due to debts to the state without previous notice was against the Constitution. We humbly suggest the Ukrainian courts be rapidly brought to a decision on the same ruling, before IMF hands start dipping into pockets. Greece’s Supreme Court ruled that the seizure of bank deposits due to debts to the state without previous notice was against the Constitution. The judges had taken up a debtor’s complaint filed in 2006. The debtor had seen his pension being grabbed from his bank account due to debts to the tax office. The court ruling is provisional, judges are expecting to take the final decision on a session on May 5th 2014. 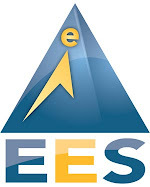 But the Supreme Court ruling may influence the current practice of tax authorities to proceed to so-called “electronic seizure of bank accounts” without previous notice. This measure has been applied since 1.1.2014. One wonders when the US Supreme Court would take up such a decision? “The sharp deterioration of the public finances in many countries has revived interest in a “capital levy”— a one-off tax on private wealth—as an exceptional measure to restore debt sustainability. The appeal is that such a tax, if it is implemented before avoidance is possible and there is a belief that it will never be repeated, does not distort behavior (and may be seen by some as fair). There have been illustrious supporters, including Pigou, Ricardo, Schumpeter, and—until he changed his mind—Keynes. The conditions for success are strong, but also need to be weighed against the risks of the alternatives, which include repudiating public debt or inflating it away (these, in turn, are a particular form of wealth tax—on bondholders—that also falls on nonresidents). There is a surprisingly large amount of experience to draw on, as such levies were widely adopted in Europe after World War I and in Germany and Japan after World War II. Reviewed in Eichengreen (1990), this experience suggests that more notable than any loss of credibility was a simple failure to achieve debt reduction, largely because the delay in introduction gave space for extensive avoidance and capital flight—in turn spurring inflation. The tax rates needed to bring down public debt to precrisis levels, moreover, are sizable: reducing debt ratios to end-2007 levels would require (for a sample of 15 euro area countries) a tax rate of about 10 percent on households with positive net wealth. Curious what the real, and not pre-spun for public consumption, sentiment on the ground is in a China (where the housing bubble has already popped and the severe contraction in credit is forcing the ultra wealthy to luxury real estate in places like Hong Kong) from the perspective of the common man? The photo below, which shows hundreds of people rushing today to withdraw money from branches of two small Chinese banks after rumors spread about solvency at one of them, are sufficiently informative about just how jittery ordinary Chinese have become in recent days, and reflect the growing anxiety among investors as regulators signal greater tolerance for credit defaults. Domestic media reported, and a local official confirmed, that ordinary depositors swarmed a branch of Jiangsu Sheyang Rural Commercial Bank in Yancheng in economically troubled Jiangsu province on Monday. The semi-official China News Service quoted the bank's chairman, Zang Zhengzhi, as saying it would ensure payments to all the depositors. The report did not say how the rumour originated. Chen Dequn, a resident in Yandong, just outside Yancheng, said she saw a crowd of about 70 to 80 people gathering in a branch of Sheyang Rural Commercial Bank in her town on Tuesday. "At the moment there are about 70 or 80 people in there. Normally there'd only be about 10," she told Reuters by telephone. Officials at another small bank, Rural Commercial Bank of Huanghai, said they had faced similar rushes by depositors, triggered by rumours of insolvency at Sheyang. "We will be holding an emergency meeting tonight," an official at the bank's administration office told Reuters, but declined to comment further. Why Yancheng investors suddenly lost confidence in the security of their bank deposits is not clear, given that the Sheyang bank is subject to formal reserve requirements, loan-to-deposit ratios and other rules to ensure it keeps sufficient cash on hand to meet demand. "It's true that these rumours exist, but actually (the bank going bankrupt) is impossible. It's a completely different situation from the problem with the cooperatives," said Zhang Chaoyang, an official at the propaganda department of the Communist Party committee in Tinghu district, where the bank branch is located. Zhang was referring to an incident that rattled depositors in Yancheng in January, when some rural cooperatives -- which are not subject to the supervision of the bank regulator -- ran out of cash and locked their doors. Local officials say several co-op bosses fled after committing fraud. China's central bank governor said this month that deposit rates are likely to liberalised in one to two years - the most explicit timeframe to date for what would be the final step in freeing up banks to set their own interest rates. It is widely expected to introduce a deposit insurance scheme before freeing up deposit rates, to protect savers in case a liberalised market puts major strains on smaller banks and alarms the public. Analysts also expect the controls on deposit rates to be lifted gradually. Is China's debt nightmare a province called Jiangsu? The case highlights the urgency of plans to put in place a deposit insurance system to protect investors against bank insolvency, as Chinese grow increasingly nervous about the impact of slowing economic growth on financial institutions. Regulators have said they will roll out deposit insurance as soon as possible, without giving a firm deadline. When contacted by Reuters by phone on Tuesday, an official at the Jiangsu Sheyang Rural Commercial Bank branch hung up, saying she was busy. Officials at the Jiangsu branch offices of the China Banking Regulatory Commission (CBRC) declined to comment. The Yancheng branch of CBRC and the propaganda offices in Yancheng city and Sheyang county did not answer calls seeking comment. Busy or not, for now, the banks may have survived following yet more capital infusions from the local government, but what happens when the default wave that has claimed solar, coal, and real estate developers finally impacts a deposit-holding institution? How will China - which has far more total deposits within its banking system than in the US (since the US banks fund themselves mostly using ultra-short term, overnight shadow funding) - survive a nationwide bank run we wonder? Western sanctions might push Russia to deepen cooperation with BRICS states, in particular, to strengthen its ties with China, which will possibly turn out to be a big catastrophe for the US and the EU some time later. On March 18, the spokesperson for the Kremlin, Dmitry Peskov, claimed in a BBC interview that Russia would switch to new partners in case of economic sanctions being imposed by the European Union and the United States. He highlighted that the modern world isn't unipolar and Russia has strong ties with other states as well, though Russia wants to remain in good relations with its Western partners, especially with the EU due to the volume of deals and joint projects. Those "new partners" are not really new since Russia has been closely interconnected with them for almost 13 years. This is all about the so-called BRICS organization, consisting of Brazil, Russia, India, China and South Africa. BRICS represents 42 percent of the world's population and about a quarter of the world's economy, which means that this bloc of states is an important global actor. The BRICS countries are like-minded in regard to supporting the principles of international law, the central role of the UN Security Council and the principles of the non-use of force in international relations; this is why they are so actively performing in the sphere of settling regional conflicts. However, the cooperation between Brazil, Russia, India, China and South Africa goes beyond political aspects and is also demonstrated by dynamic trade and multiple projects in different areas. Today, in total, there are more than 20 formats of cooperation within the BRICS which are intensively developing. For example, in February the member-states came to an agreement about 11 prospective directions of scientific and technical cooperation, from aeronautics to bio- and nanotechnology. In order to modernize the global economic system, at the center of which stand the US and the EU, the leaders of Brazil, Russia, India, China and South Africa have created the BRICS Stock Alliance and are creating their own development bank to finance large infrastructure projects. On the whole, despite fierce criticism of BRICS as an organization with no future, it is developing and increasing cooperation with its members and, in fact, BRICS is showing pretty good results. With suspension of Russian participation in G8 and possible strengthening of economic sanctions, the experts expect some particular industries to be targeted, including limits on imported products. While the West seeks to hit Russia hard, it is important to notice that Russia is ready to switch to other markets, for instance BRICS, and increase trade volumes with countries from this bloc. Indeed, Russia buys significant amount of products from NATO states, for example, 50 percent of fruits and berries come from Spain, Holland and Poland. Nevertheless, Russia is intensifying its economic ties with the developing world. In 2012 Russia was buying 41 percent of its beef from Brazil, though this index has recently decreased to 20 percent, and Russia is likely to increase its import in case of need. In February 2013, Russia and Brazil reached an agreement on the long-standing problem of pork exports to Russia, as well as agreeing on a list of sanitary and quality requirements for the annual import of millions of metric tons of Russian wheat. This is a shining example of the substitute partnerships that have yielded positive results, although some problems with sanitary norms had to be resolved. In other words, it's beyond the power of the EU and US to make Russian people suffer from products scarcity since they are not the country's only trade partners. 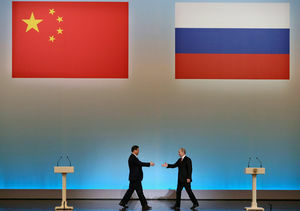 Chinese President Xi Jinping (L) and his Russian counterpart Vladimir Putin. It's hard to ignore the fact that the role of the biggest and strongest member of BRICS is China's, and obviously Russia will seek to improve its relations with Beijing even more than before. During the last year, relations between Russia and China have been enhancing and actively developing in various spheres. In particular, in 2013 the states signed 21 trade agreements, including a new 100 million ton oil supply deal with China's Sinopec. In October 2013, the Xinhua news agency also reported that the two governments signed an agreement to jointly build an oil refinery in Tianjin, east of Beijing. Moreover, China promised to pump $20 billion of investment into domestic projects in Russia, focusing on transport infrastructure, highways, ports, and airports, and it hoped to increase investment in Russia four-fold by 2020. In 2013, the trade volume between the states reached $89 billion, with bilateral economic relations showing positive signs, meaning that further cooperation will increase. Indeed, leaders of the states called for annual bilateral trade between the two countries to be boosted to $100 billion by 2015. 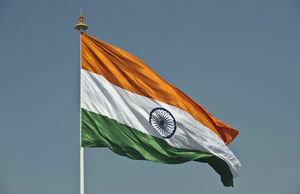 Besides, the two countries are considering further partnerships in the energy sector, particularly in the gas industry. Currently, Russian gas is not supplied to China, though in 2013 Russia's biggest independent natural gas producer, Novatek, signed preliminary memorandums with CNPC to sell at least 3 million tons of LNG per year between Yamal LNG and PetroChina International. Another Russian company, Rosneft, which is 75 percent state-owned, is vastly expanding its LNG projects to diversify its portfolio, and is focusing heavily on eastern markets, like Japan and China. In terms of confrontation between the West and Russia, the gas contracts between China and Russia could really gain momentum. At the same time it's possible that Moscow would sign contracts on the sale of the Sukhoi Su-35 fighter to China before President Putin embarks on a visit to Beijing in May. In 2014, Russia and China have a full agenda for bilateral cooperation, which includes not only trade but also such spheres as energy, aircraft building, mechanical engineering, military and science cooperation, tourism, etc. At the same time, cultural ties between the two nations are also strengthening, with 2014-2015 being named years of youth exchange. The leaders of Russia and China also decided to prepare jointly celebration events for the 70th anniversary of the victory over German fascism and Japanese militarism in 2015. Another important aspect of cooperation between Russia, China and India touches upon Afghanistan. The trilateral involvement of those nations into the Afghan issue has been actively developing since 2013 and could become a major factor for the Afghan leadership following the US withdrawal. It is important to note that the Afghanistan issue is vital to the regional security of Russia, China and India. Once again, the recent Olympic Games emphasized the specific character of relations between China and Russia. The Chinese president, unlike European leaders, was present at the Opening Ceremony, which is especially demonstrative given that it was the time of the Spring Festival in China, when the Chinese prefer not to leave their homes except for visiting relatives and close friends. Thus, China may become the biggest beneficiary of the sanctions against Russia since it means further rapprochement between Russia and China. One should remember that China has always been mainly interested in doing business and for sure it would be silly for Beijing to lose such a great opportunity to strengthen its ties with Russia. If I were someone responsible for decisions in Brussels or Washington, I would revise my opinion on implementation of sanctions against Russia. I wouldn't call it a possible revival of the "Sino-Soviet axe" which existed during the Cold War and was an ideological counter-balance for the West, although this time the West itself is pushing one of its main rivals closer to another, creating a massive power that would surpass both the US and the EU by a long chalk. So the question is whether the West really wants this to happen? And what will it do when the Chinese dragon and Russian bear form an alliance? 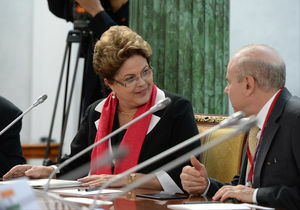 Dilma Rousseff, President of Brazil, (L) speaks before the BRICS summit in Saint Petersburg in the sidelines of the G20 summit on September 5, 2013. As was already mentioned, another BRICS-member Brazil is one of the Russian suppliers of meat, and trade in this industry is likely to rise if the West resorts to economic sanctions. However, meat import isn't the only thing that binds these states. Over the last few years, Russia has also imported Brazilian coffee, sugar, juices and alcohol and exported mainly fertilizers. 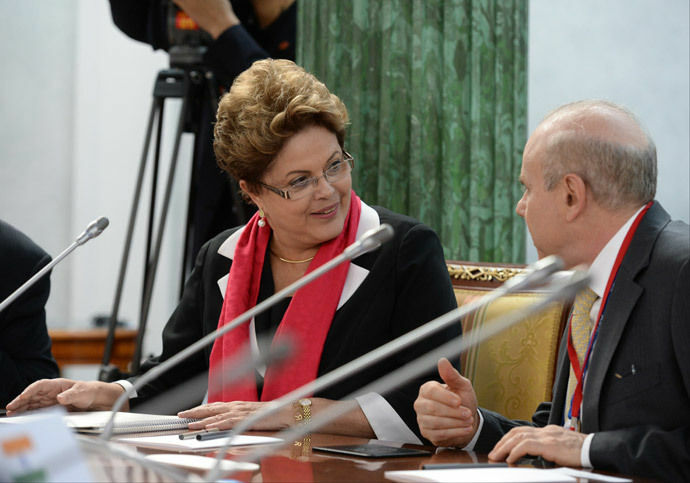 Moscow and Brasilia made a commitment to develop comprehensive cooperation in various areas, although for the moment particular attention is being paid to the military sphere. For instance, in December 2012 the states signed a treaty on supplies of Russian helicopters to Brazil. The total trade volume between Russia and Brazil in 2013 made up $5.7 billion, however the two states seek to increase it up to $10 billion in the near future. The trade index in January 2014 reached $438.9 million, which was $25 million higher in comparison with January 2013. The distinctive feature of the cooperation between the two countries is the complimentary character of their economies, which makes ties between Brazil and Russia even stronger. In fact, there is a great potential for Russian-Brazilian cooperation and results of these ties could also be disappointing for the West. In his speech at a joint session of parliament on March 18, Russian President Putin thanked both India and China for their stance on the Ukrainian crisis. But why is India supporting Russia? Maybe the Indian government equates some similarities with Crimea in the history of Sikkim's referendum and further merger with India when it became the 22nd Indian state in 1975 with Russian support. Maybe India is just seeking to develop closer ties and mutually beneficial partnerships with Russia. Anyway, let's look at some facts and figures. In 2012, bilateral trade volume reached $11,000 million which is rather modest in comparison with China or Brazil. Moreover, in 2013 this index slightly decreased. However, 2014 promises the renewal of bilateral contracts between India and Russia. For example, Defexpo India 2014 has reaffirmed the special relationship that exists between the defense industries of Russia and India, with a pavilion that houses exhibits of Russian companies being visited by top members of the Indian establishment. In general, the defense interactions between Russia and India are quite diversified, with almost every defense contract providing the creation of joint ventures or licensed production. In 2013, India's import of Russian weapons reached $4.78 billion. Another industry which attracts India is computer-guided weapons, produced by the Russian Morinformsystem-Agat Concern. In February the two states also confirmed their plans to boost cooperation in nuclear energy, with the former backing the construction of more units at the Kudankulam Nuclear Power Project (KNPP) and other parts of the country. Besides, India and Russia are set to sign an agreement aimed at productive cooperation in many spheres: space and military cooperation, trade, construction of a pipeline from Russia to India, and plans to set up a Joint Study Group to look into the scope of the CECA (Comprehensive Economic Cooperation Agreement) with member-countries of the Customs Union (the Russian Federation, Kazakhstan and Belarus). It is certain that after this issue is addressed, trade volumes between Russia and India, as well as between the Customs Union and India will increase significantly. It's not really rational for the US and the EU to antagonize and try to isolate Russia. And there are several reasons for this. First of all, Russia is the largest oil and gas producer in the world and it simply means that imposing economic sanctions on Russia would shake up the global energy market and, therefore, the entire global economy. Not to mention the EU's dependency on Russian gas. Are the global economies ready to witness a new crisis, given that they are still recovering from the latest financial crisis? It's doubtful. Second, Russia is investing massively in the US financial market, especially in Treasury bonds, and consequently, if Russia decides to withdraw its investments in response to Western sanctions, it would hit the US economy and cause a real financial crisis. So, crisis again. Finally, during the last few years the Russian market has become one of the world's largest markets for EU goods, products and services, while the EU is actively investing in Russia. In case of further worsening of relations between Russia and the West, the EU will have a serious headache, searching for new markets and suffering lasting damage because of suspended joint contracts. So is it really worth pushing for such a gloomy future, or is it better to recognize the will of the Crimeans and give the whole of Ukraine a chance for a better life? The Yuan has weakened over 250 pips in early China trading. Trading at almost 6.22, we are now deeply into the significant-loss-realizing region of the world's carry-traders and Chinese over-hedgers. Morgan Stanley estimates a minimum $4.8bn loss for each 100 pip move. However, the bigger picture is considerably worse as the vicious circle of desperate liquidity needs are starting to gang up on Hong Kong real estate and commodity prices. For those who see the silver lining in this and construe all this as a reason to buy more developed world stocks on the premise that the money flooding out of China (et al.) will be parked in the S&P are overlooking the fact that the purchase price of these now-unwanted positions was most likely borrowed, meaning that their liquidation will also extinguish the associated credit, not re-allocate it. How Much Is at Stake? In their previous note, MS estimated that US$350 billion of TRF have been sold since the beginning of 2013. When we dig deeper, we think it is reasonable to assume that most of what was sold in 2013 has been knocked out (at the lower knock-outs), given the price action seen in 2013. Given that, and given what business we’ve done in 2014 calendar year to date, we think a reasonable estimate is that US$150 billion of product remains. Taking that as a base case, we can then estimate the size of potential losses to holders of these products if USD/CNH keeps trading higher. In round numbers, we estimate that for every 0.1 move in USD/CNH above the average EKI (which we have assumed here is 6.20), corporates will lose US$200 million a month. The real pain comes if USD/CNH stays above this level, as these losses will accrue every month until the contract expires. Given contracts are 24 months in tenor, this implies around US$4.8 billion in total losses for every 0.1 above the average EKI.